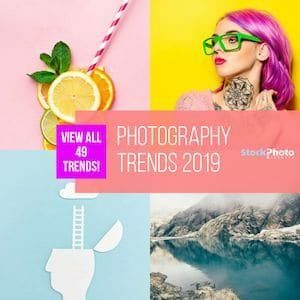 Authentic stock photos are riding the crest of the wave in photography trends (you can see it listed in our Photography Trends 2019! ), and if you’re smart, you’ll ride along too. The intimate, spontaneous and natural-like style of photography popularised by smartphone snapshots and the Instagram phenomenon has shifted the way people connect with images, and has deeply impacted marketing and graphic design. It’s definitely the style you must go for if you want your business and/or your designs to succeed. Whether it is visuals for a website or a store, a marketing campaign, or images for your social media channels, if you want them to be well received, you need them to look authentic. Some stock photo agencies are already offering photos with this aesthetic, and we did our homework to bring you this useful list of the best sites to buy royalty-free stock images with authentic style. 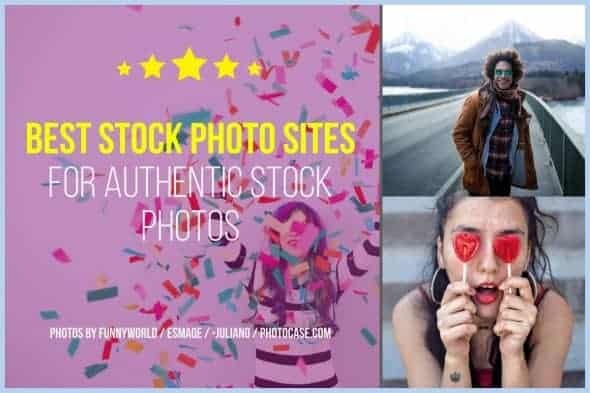 There’s options for every need and budget, and many of them are also included in our Top List of Best Stock Photo Sites. Pick your favourite! If you’re interested in learning more about authentic imagery, its roots and its commercial value, we also have a little report on the Present and Future of Authentic Images for you! 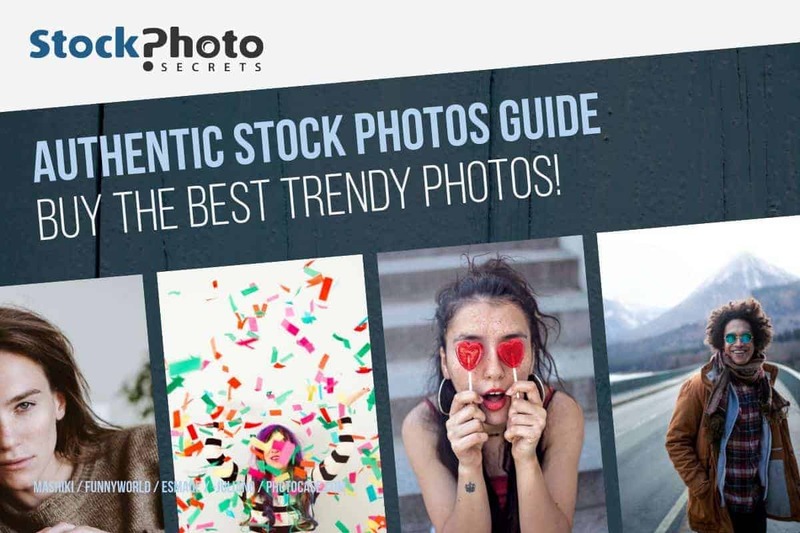 Here are some details and image samples from the top stock photo agencies to find authentic stock photography. Previously known as iStockphoto, iStock is nothing less than the pioneer microstock agency in selling cheap royalty-free stock photos online. Since years backed by Getty Images, iStock is famous for their dedicated curation. Their Signature collection hosts millions of exclusive high-quality images predominantly authentic styled, all exclusive to the agency, and including every category and theme imaginable. iStock sells these photos on demand with credits, or with a subscription. If you buy by the unit you will pay between $24 and $33 per photo, depending on the credit pack you get. But if you get a subscription, you can get these high value images for just $0,42 to $1o each. Best of is that iStock also has a big collection (Essentials) of non-exclusive, high res images at lower price, and both credit packs and Signature subscription allow you to download from that selection as well. All details about this agency are in our iStock review. 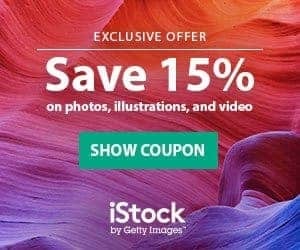 If you decide for them, you’ll surely want to grab our exclusive, limited time iStock Promo Code with 15% off in EVERYTHING including subscriptions! That's right: for a limited time only, both new and existing customers can buy credit packs and subscriptions at cut price! Grab it now before it expires! Photocase is a Berlin-based stock photo site and a pioneer in authentic stock photos: their highly curated collection of photos has been strongly focused in this style since 2001. Their library is a perfect showcase of Berlin-styled imagery and all their photos have a great sense of uniqueness and artistry. Authenticity taints these royalty free images which cover all aspects of modern life, and that you can buy on demand, paying as you go. Photos are priced according to size, from $10 to $20 each. If you buy credit packs you get more downloads at a lower per-image price, and credits never expire. You can learn more in our Photocase review. And you can also check some awesome images here. Once you’re ready to buy, make sure to use our exclusive Photocase Coupon Code that gives you 3 Free Credits plus 25% Off in your purchase! Offset is a relatively new stock photography service developed by Shutterstock (one of the most popular photo providers on the web). It offers authentic photos from award winning photographers in a tightly curated and highly valued collection. Their library includes various topics and styles, from street photography to modern lifestyle, all in high resolution photos from renowned artists. You can buy these images on demand, and they cost between $249 and $499 according to size. Or you can get an image pack that will reduce the individual file price saving you hundreds of dollars. Find out more about the agency in our Offset by Shutterstock coverage article! And visit Offset to check their great imagery. Westend61 is a renowned German stock photography agency and brand, delivering first class, hi-res images. They are very strong in the European market, which is highly represented in their library. Authentic stock photos make up for the most of it nowadays, with images covering all kind of concepts and topics. At their authentic image signature agency, you can buy their photos on demand, paying as you go. They’re priced according to size, from €50 and up to €450 each. This may be a bit pricey for royalty free stock photos, but this is a company working with very high-quality content from top professionals. However, they also offer selections of their portfolio in several other outlets, including Shutterstock, which works with much more pocket-friendly prices. Check out Westend61 collection to find inspiring images for your next designs! 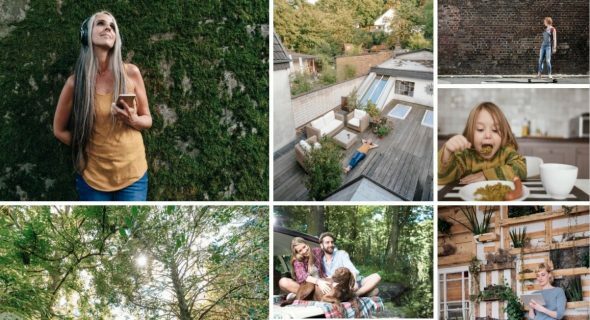 A mix of photo sharing platform, visual arts magazine and stock photo site, EyeEm is a German company specializing in crowdsourced and mobile photography, and authentic stock images are at the core of their offer. Handpicked and curated, their marketplace has millions of photos representing today’s world in a very artsy and realistic aesthetic, perfectly suitable for Instagram posts. This agency offers photos on demand, and they’re priced according to intended use and size. The social license gives you a smaller file perfect to use in any social network for just $20, and Web license gets you a hi-res photo to use in digital and print projects for $50. If you want authentic images relatable for younger audiences, EyeEm has exactly what you need. Not to mention they also have a distribution deal with prestigious Getty Images agency, where you will also find a selection of EyeEm photos at premium prices. Discover EyeEm authentic stock photography, mobile-first photo collection! Check out our video about the Top 5 Authentic Stock Agencies below or here on YouTube. Authentic-styled photography is a strong, market-leading trend. And all experts coincide it will not fade away anytime soon, mainly because its origins are rooted in social media and mobile technology, two of the main pillars of current mass behaviour. Since the first cell phone with a mobile camera hit the market, photography became a part of everyone’s life. Immortalizing moments was made easier and cheaper, and younger demographics embraced snapshots as a pastime, an artistic expression and a way of social interaction altogether. When smartphone technology and social media networks came along, the constant everyday snaps became the new way of communication and socialization. Instagram was the platform that truly changed the game, putting photography at the centre of everything and providing preset filters to let everybody feel like pro photographers. It’s precisely Instagram photos the main responsible for the authentic images trend. The user-generated content published on that network soon took over the whole social media spectrum. Characteristically these photos are meant to show the “best version of yourself”, and that means aesthetically beautiful but natural, candid and apparently spontaneous shots. Authentic photos rose in popularity because they’re relatable in a way the more traditional, overly-produced, picture-perfect images never were. Rather than make you aspire to be the perfection depicted in them, authentic images let you identify with what and/or who is portrayed. The trend is very wide and has grown to embrace current social concepts like diversity, multiculturalism, modern gender roles, new working environments, and more. For this very reason, is a style in photography that will continue to dominate the market in the future. And if you want to be part of that future, you should be using images with this aesthetic. Be it photos for Instagram or other social media channels, images for your website or your next marketing campaign, a design for a billboard or advert, etc., authentic photos will deliver the best results. If what you want is high value yet affordable photos, iStock is for you. If you want authentic images that portray the German lifestyle to perfection, choose Photocase. If you're after modern lifestyle imagery, go for Offset. If European people and locations are your thing, pick Westend61. If you're looking for mobile, UGC styled photography, check out EyeEm. Let us know which one of the authentic stock images agency you went with!